CHICAGO — How do you pare 20 years of work into 58 minutes? For Ronit Bezalel, that was the challenge after spending the past two decades working on a documentary about the old Cabrini Green public housing project. She did it, and now the documentary, "70 Acres in Chicago: Cabrini Green," is ready for its world premiere. The filmed debuted Aug. 23, and a second showing will take place Wednesday night. Bezalel, of Edgewater, started filming the project when she was a master's student at Columbia College Chicago in 1995. Her last day of shooting was March 30, 2011, when the last of the infamous public housing project's towers was demolished. She and her production team have spent the last four years fine-tuning the film, which will be unveiled at the Gene Siskel Film Center, 164 N. State St.
"I liken it to if you have a child and now they're going off to college, and going out there into the world," Bezalel told DNAinfo Chicago. "The film is an invaluable look. It's a human interest piece. It's a functional piece. It's a sociological piece. It functions on many levels. "Everyone knows Cabrini. So many people are curious about what is or was Cabrini. It has this fascination factor." 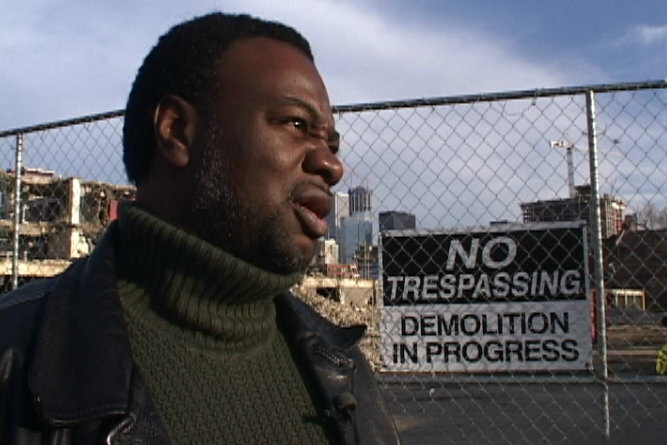 The documentary serves as a sequel to Bezalel's first work on the public housing project: "Voices of Cabrini: Remaking Chicago's Public Housing," which was released in 1999. Voices of Cabrini: Remaking Chicago's Public Housing from Ronit Bezalel on Vimeo. "70 Acres" features the stories of three longtime Cabrini residents: Raymond McDonald, Deidre Brewster and Mark Pratt, who was a fellow Columbia College student with Bezalel in 1995 and introduced her to the neighborhood. Bezalel first met McDonald in 2006 when he was 15. He is now in his mid-20s and still lives in Cabrini in its last set of row houses. "To me, the film means that Cabrini Green's voice will finally be heard in a positive light," McDonald said in a news release. 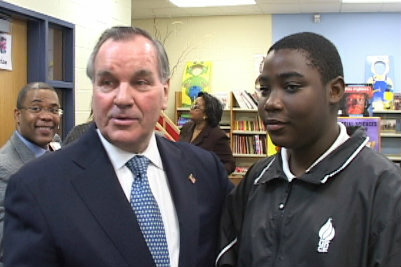 Bezalel said one of her favorite scenes involved a news conference with Richard M. Daley at Jenner Elementary School on Cabrini's grounds, where the students had a chance to talk to the former mayor. She also was overwhelmed by the bond of many Cabrini residents, especially at a party called "Old School Monday," where thousands would hang out. "There were a lot of bad things for sure, but there was a sense of community," Bezalel said. "I don't know everyone in my building, but it was there in Cabrini and very special and very underreported." Bezalel wanted to keep "70 Acres" to less than an hour for potential television use. Her goal is to set up other Chicago screenings, but for now, it only will be shown at the Siskel Film Center on Wednesday and Aug. 30 as part of the 21st Annual Black Harvest Film Festival. "Here is a place that was vilified by everyone. It was a very strong warm community at its heart," Bezalel said. For more information on "70 Acres" or to purchase tickets, click here.